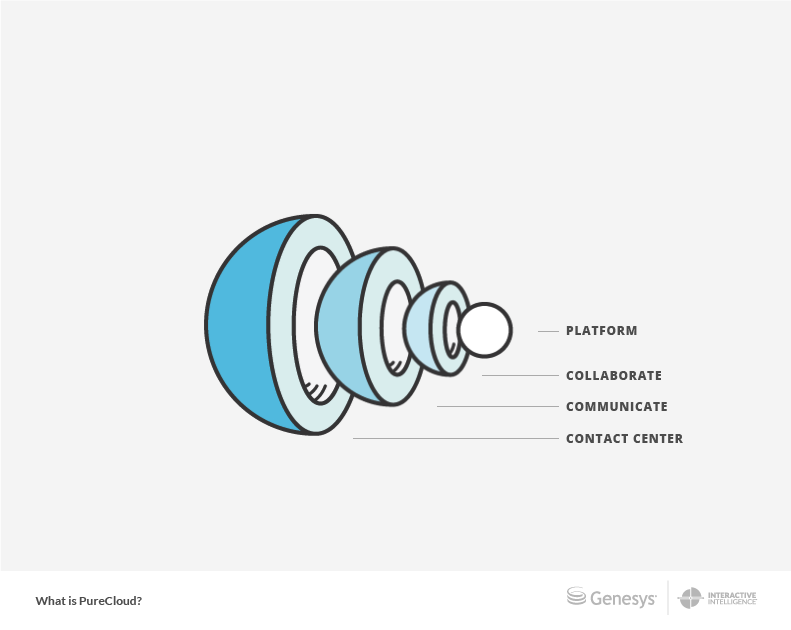 What is a PureCloud WebRTC phone? What is a PureCloud Softphone? What font does PureCloud use? PureCloud is a suite of cloud services for enterprise-grade communications, collaboration, and contact center management. PureCloud is built on top of Amazon Web Services (AWS) and uses a distributed cloud environment that provides secure access to organizations around the world with a marginal IT footprint. Each layer of service integrates with the others for a unified experience. The PureCloud Platform provides the core architecture for all other services. This includes all of the APIs that power the browser, mobile, desktop, and telephony applications. PureCloud Collaborate is a social media app that contains data about the people in a workplace and includes ways to connect with them, such as chat, video, and document sharing. Learn more about PureCloud Collaborate. PureCloud Communicate adds telephony features to Collaborate, making it a unified communications solution. Features include phone, voicemail, conferencing, and transfers. Learn more about PureCloud Communicate. PureCloud contact center uses the telephony foundation of PureCloud Communicate to operate a contact center service that handles every aspect of customer interactions, including interactive voice response (IVR), automatic call distribution (ACD), skills-based routing of phone calls, emails, web chats, and social expressions; and much more. Learn more about PureCloud contact center.